This tutorial was originally posted on Kojodesigns for the Winter Whites series. 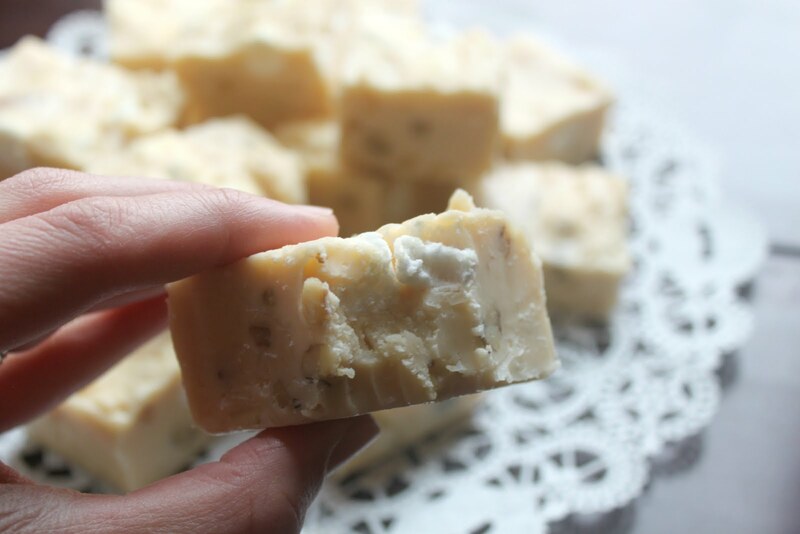 It's deceptively addictive - and a perfect treat for those snowy days indoors! 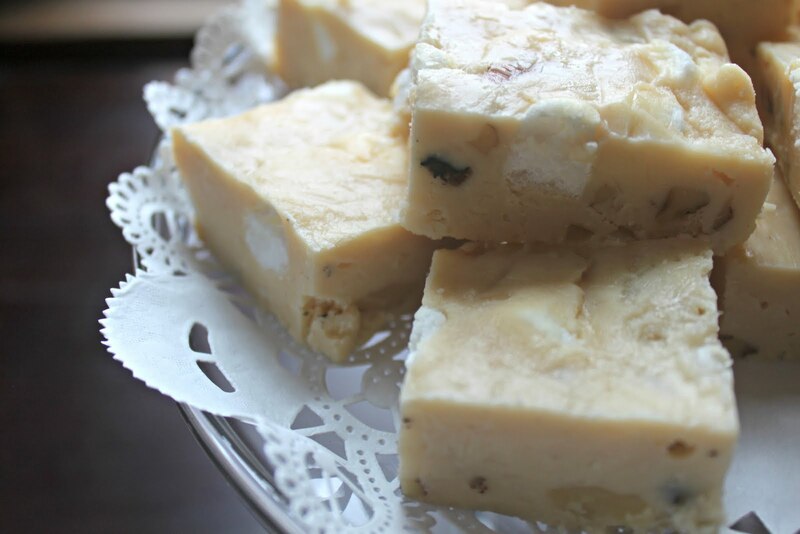 I had this amazing white chocolate fudge last month at a local outdoor store of all places - I know, not really the place you expect to find life changing fudge, right? I don't usually like white chocolate, but something about this particular fudge concoction grabbed me immediately. I took a bite and fell in love, then started mentally compiling the ingredients I needed to make it at home. There was only one problem - I couldn't justify making it knowing I'd eat the whole pan myself. Then I got an email from Kirstin saying that she and Delia were hosting a Winter Whites series. The fudge was basically demanding to be made, and who am I to resist? 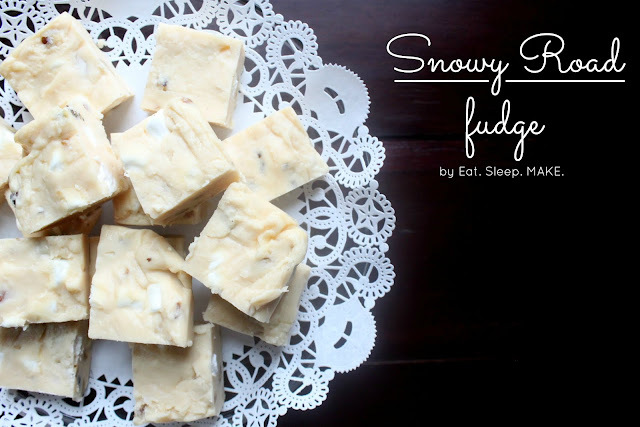 The Snowy Road Fudge is a take off of classic rocky road, but instead of chocolate, marshmallow and almonds, it has white chocolate, marshmallows and walnuts with coconut thrown in as well. Like I said, everything delicious in one heavenly dessert. INGREDIENTS: 6 tablespoons butter, 1 can (12 oz) evaporated milk, 1/2 cup marshmallow fluff, 2 cups sugar - I forgot to include that in the picture, 12 oz white chocolate (I suggest Lindt white chocolate bars because they're amazing), 1/2 cup shredded coconut, 1/2 cup chopped walnut pieces, 1 tsp vanilla extract, 1 cup mini marshmallows. ONE: first, chop up your white chocolate bars into small pieces and place in a large mixing bowl. 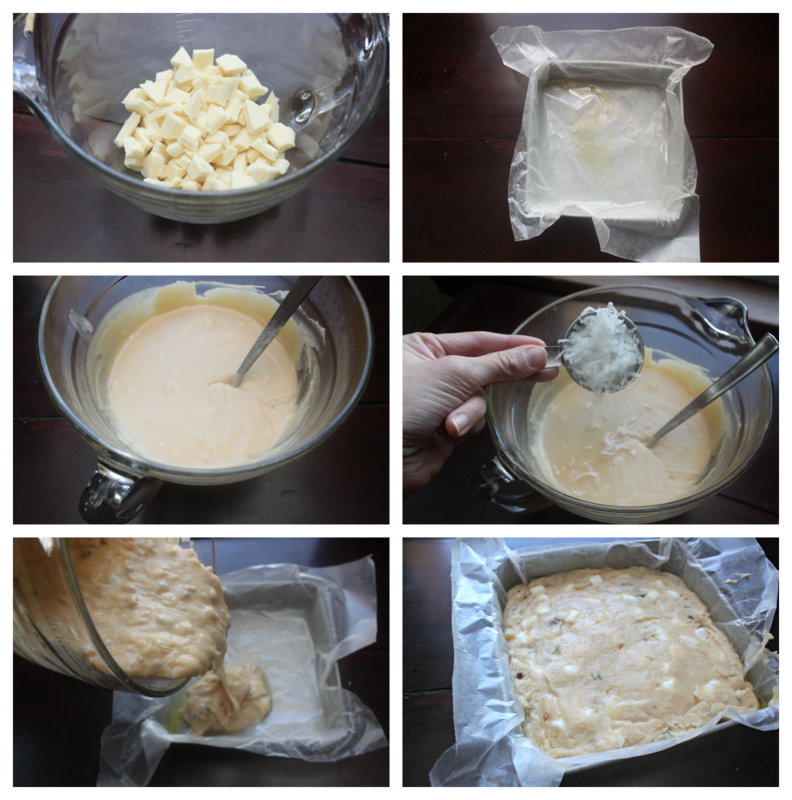 TWO: line an 8 inch pan with wax paper or parchment paper and spray well with cooking spray. THREE: in a large saucepan, combine the first four ingredients and bring to a boil on medium heat. Boil for 25 minutes, stirring constantly. Pour the mixture over your chocolate chips and stir well until the chocolate chips are completely melted. FOUR: add the last four ingredients and stir well until all ingredients are incorporated. FIVE: pour the mixture into your prepared pan and use a spatula to spread the mixture evenly. SIX: chill your fudge in the refrigerator for 1 hour or until the fudge has set. Cut and serve. If you're having a hard time getting the fudge out of the pan, run some warm water along the bottom of the pan. Yields approximately 2 1/4 pounds fudge. Enough to share. Or not. A very easy fudge recipe! Love it! I hate the complicated one's with readings on your candy thermometer, soft ball hard ball.....I just want to get 'er done and dive in. And I definitely agree on your serving theory! Wow, this looks amazing! Thank you for the 'how to'! What I'm Loving This Week!